If you are taking a trip Down Under, you are going to have the trip of a lifetime. There is so much to see and do in Australia. This is why nearly 9 million people visit the country each year. 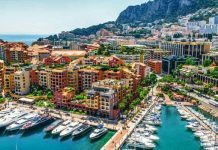 While you are out visiting Sydney Harbour, the Great Barrier Reef, or Uluru — you might want to gamble. Australia has several luxurious casinos. Not sure where to begin? Here is our top list of casinos dripping with luxury in Australia. The largest and most luxurious casino in Australia is in Melbourne. Not only is Crown Casino Melbourne the largest casino in Australia, but it is also the largest casino in the Southern Hemisphere. The casino is on the Yarra River. You have the opportunity to enjoy the beauty of the river from one of the three hotel towers. By 2020, there will be a fourth tower added to the complex. The casino, hotel, and entertainment complex take up two city blocks. The hotel has more than 1,700 hotel rooms. The casino has more than 3,000 slot machines, 3,500 video poker machines, and more than 100 gaming tables. The games offered at the tables are poker, baccarat, roulette, blackjack, pai gow, and craps. The Crown Poker room is second to none. Made for the high rollers, the room is home to the World Series of Poker in Asia. It is also home to Aussie Millions, the country’s largest poker event. The rooms offer luxury suites with views of the river. There are also suites designed for families, with special games and events. Each hotel in the complex is different, but, in general, the hotels have a luxury mid-century modern style. The Urban Luxe rooms magnify this style, with spa-like features and views of the river and the skyline. Apartments are also available on-site and are very popular. The Crown Spa offers treatments in a luxe environment as well. The spa is popular because of its water treatments. The casino also offers four-star restaurants and high-end shopping. 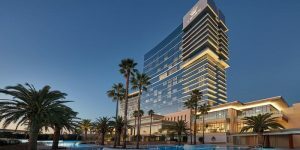 Crown Casino has had so much success with its Melbourne casino, the company opened one in Perth. This casino complex in Western Australia boasts 1,200 rooms, a convention center, a theater, and two ballrooms. Decorated in shades of luxe gold, the casino has 800 video poker machines, 350 gaming tables, and 2,400 gaming machines. The gaming machines play keno, dice, dominoes, and ball games. Western Australia does not allow wheel slots. Gaming tables allow people to play two types of baccarat, roulette, blackjack, six kinds of poker, war, pai gow, and Sic bo. The casino also allows high-roller limit games. The casino carries the luxe theme into the huge pool complex, which comes complete with gold-colored pool toys. Also, a park surrounds the casino. It has walking trails, a wildflower park, and modern art statues. There is also a large pub and microbrewery complex. Like the Crown Melbourne, the Crown Perth has three different hotels. The décor in two of the hotels is the mid-century modern style. There is a lot of luxe gold touches. The third’s design includes shades of blue to blend with the water. There are luxe suites with sweeping views of the pool scene, the river, or the beautiful park. There are the usual Crown Casino amenities, such as grand restaurants and a luxe spa. 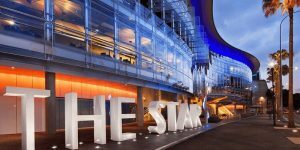 The Star in Sydney is the second-largest casino in Australia after the Crown Melbourne. While the Crown casinos make everything big, the Star thrives on small and boutique luxury. The hotel has more than 350 rooms and 130 luxury suites. The rooms are blue and cream and each has a brilliant view of the harbor. While the hotel rooms are luxurious, it is the casino that has really gotten the raves. The casino has two floors. The first floor is the main gaming floor. There are 1,500 poker machines, 200 table games, and 30 poker tables. The first floor must be luxurious. However, it is the second gaming floor that really boasts luxury and exclusivity. The Sovereign Room on the second floor is the high-roller room. In order to get onto the second floor, you must apply for membership. Then, someone will review your application. 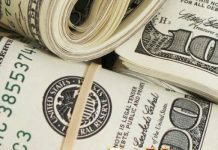 Table bets in the Sovereign Room range from $25 to $75,000. However, there is an even more exclusive room within the Sovereign Room. This is the Inner Sanctum. Bets in this room range from a $100 minimum bet to $500,000. You must have the casino’s approval to step foot in this room as well. The second floor has its own restaurant and bar. These establishments serve the high rollers anything they want from the menu. The Sovereign Room boasts four small party rooms as well. This is where high-roller poker tournaments are often held. In addition to the two gambling floors, there is an additional luxury gambling floor on level three. Called the Vermillion Room, this is the casino’s new “ultra-exclusive” room. You can enter by invitation only, and you must have a Vermillion Card to enter. This room has table games that adapt to the wishes of the gambler. 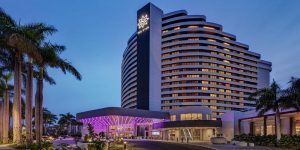 Queensland’s first casino is in Broadbeach. The hotel complex has nearly 600 rooms. However, there is an inner sanctum of the hotel complex called The Star Grand. Within this hotel lies luxurious suites and all are dressed in shades of white. The Grand has its own service and concierge for its guests. The area also has its own spa and pool. This is in keeping with Star Casino’s tradition of making sure that it caters to high rollers. The decorations of the other hotels in the casino complex have shades of white and blue, or burgundy and gold. There are also lovely views of the area. The spa is top-shelf. There is a separate area for men, and enhancements, as well as spa treatments, are available. As with the Star in Sydney, the Star Gold Coast has an area specifically dedicated to high rollers. It has two private gaming areas as well, the Sovereign and the Oasis. Both are by invitation only. These areas have their own private gaming rooms, with their own dining and relaxation areas. Each area has a separate bar as well. Some of the private gaming rooms are even more exclusive, with only the privileged few allowed in. You must apply to enter the exclusive area, and the casino will let you know if it will allow you in. The area affords beautiful views of the Gold Coast. 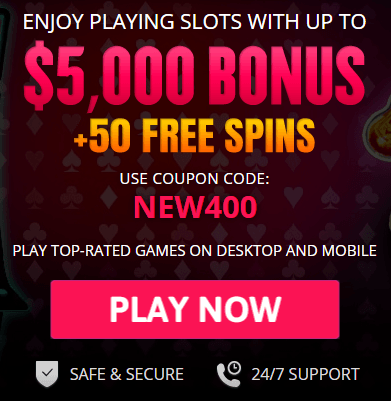 The casino also offers thousands of slots and other games. There are hundreds of tables available for table games as well. In addition to the usual games on the main gaming floor, the casino also offers high-roller tables. You can choose to play poker, baccarat, blackjack, several poker varieties, roulette, and craps. The casino, like other Star properties, is luxuriously appointed. 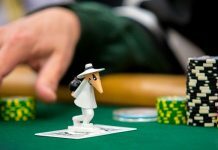 It holds Deepstack Poker Tournaments every Monday night. The next time you’re in Australia, and you’re looking for luxury, visit one of the casinos on our list. You are sure to find something that suits your luxurious taste. Whether you are looking for a great pool scene or high rollers, there is something here for you. Enjoy your time Down Under!